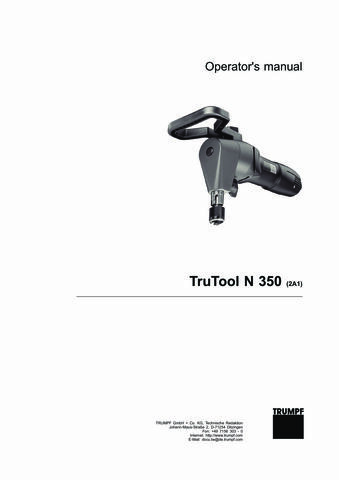 The TRUMPF TruTool N 350 Power Nibbler is a great example of a handheld power nibbler. Lightweight and portable, this durable sheet metal tool has been ergonomically designed to ensure optimum comfort during handheld operation. It has three cutting directions to ensure coverage of hard to reach jobs and perfect nibbling during both the straight and also curved cutouts. 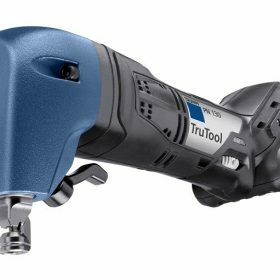 The TruTool N 350 is an extremely compact and handy nibbler. 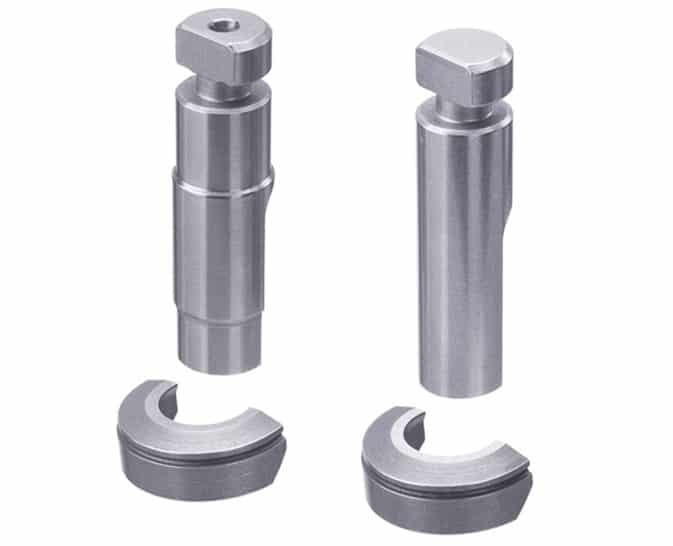 With the hollow round punch principle you can turn the machine in place 360° without impediment and make interior cuts and notches without difficulty. A speed regulator facilitates working to plans and templates. 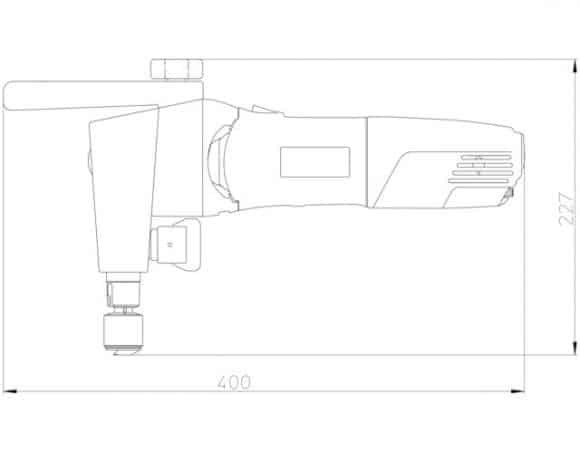 Optimal grip ergonomics make for comfortable operation. 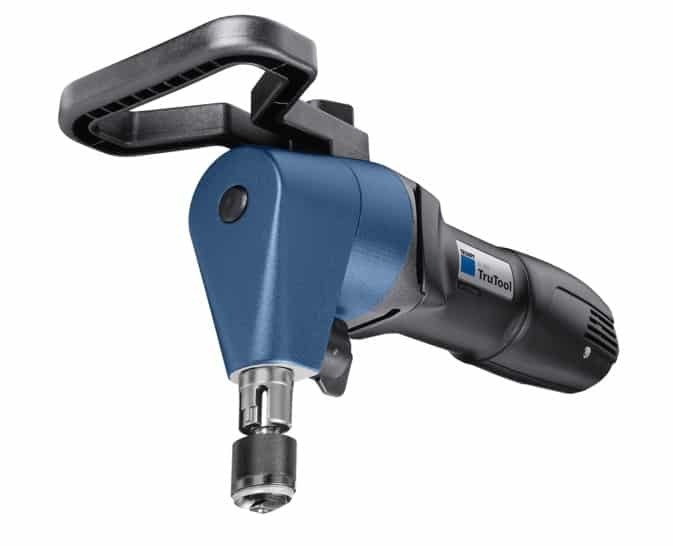 FABTECH SOLUTIONS is a proud distributor of Trumpf Power Tools. Our Service Department can assist with finding the right tool for the job. 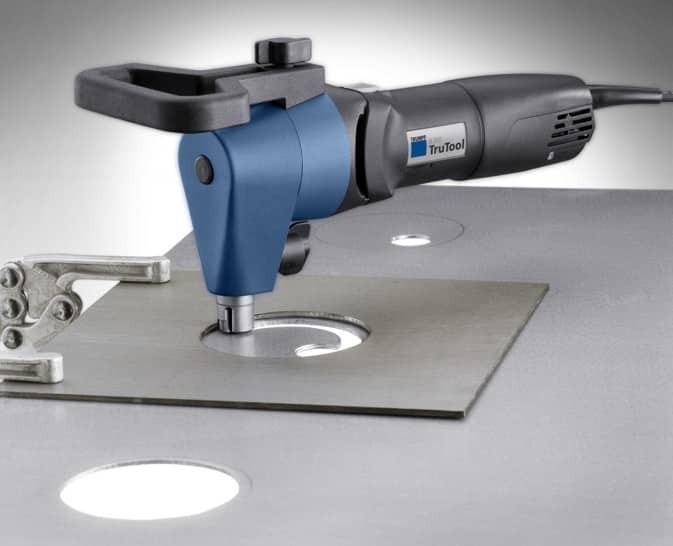 Ensuring high quality equipment, training and service resources is an essential component for prolonging the life and effectiveness of your sheet metal fabrication power tools and machinery. 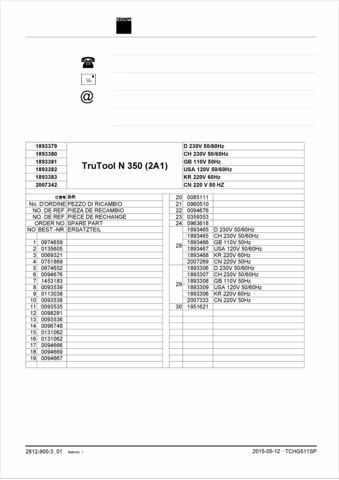 For your convenience, there are instruction and service manuals for your Trumpf TruTools included below. These manuals have been prepared for operators and maintenance personnel. 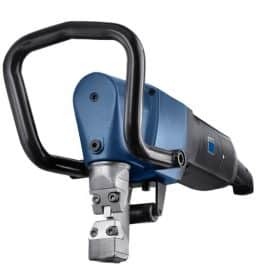 It is important that all persons responsible for the care and operation of this equipment fully understand the information presented in this material. 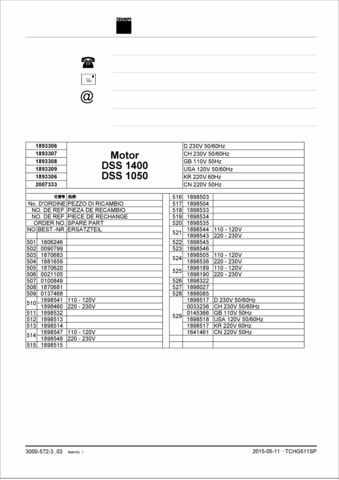 Manuals are shown for reference purposes only; please contact our Service Department with any questions or concerns.